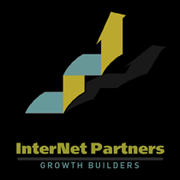 InterNet Partners based in Dallas-Fort Worth, Texas is a consultancy group creating growth strategies for clients. Your business strategy is to build the best product, provide the best service and make money while doing it. But you need some help discovering new avenues, fine tuning and executing strategies that help in the growing of your business. This is where we become your partner. Let our experience help you gain the most out of your business strategy! Contact us today to see how we can help you grow your business. What are some of your current business strategies and initiatives? Have you made any attempts to utilize the internet in your strategic thinking? Trying to figure out what all the social media buzz is all about? Did you make an attempt and was disappointed with the results? Or are you not familiar enough with the tools that are available so that you can integrate this into your business strategy? See how we can help your business strategy, learn about our methodology. Do your marketing strategies include utilizing the internet and some form of ecommerce? Are you not sure who should guide you and who can help you achieve success? WE can! 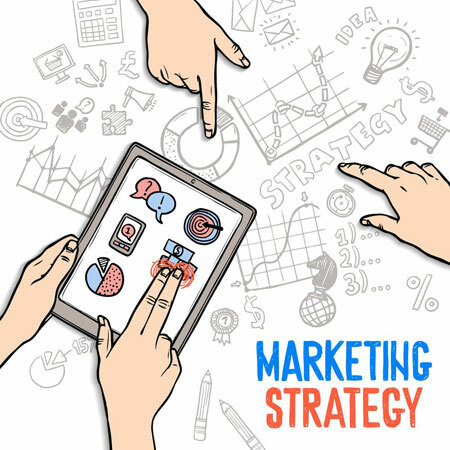 Our experience will help you choose from various marketing strategies and craft one that meets your business strategy and helps you grow your online and offline business. Reach new markets. Locally, nationally, internationally. Some, all of the above and many others. What's your business strategy? Make a move and talk to us now! Our formula for growth is what we call B2-M2. Branding-Building, Marketing-Measuring. How we apply this formula is different with each client because every business is unique. Some basic tenets of our formula apply to everybody but items such as pace of implementation, budget, goals, product or service; all impact how we use our formula to help your business grow. The branding process of B2 is where we look inward; what do my customers think about us? What is our perception in the marketplace. What is our image? In a more rudimentary form, branding is defining Who and What are we? Defining our customers and market are included in this step along with the organizational goals. You may already think you have a brand. Is it strong enough? Should it be enhanced? This step will give you the opportunity to go through this exercise. It may surprise you. The building phase of B2 is where we develop the program that will be implemented in the M2 phase. This can include website design, branding, creative designs, copy, the license of software, creation of tools and decisions on the methods of implementation. The marketing phase of M2 encompasses Search Engine Marketing, Pay Per Click (PPC) Advertising, SEO target marketing, internet branding along with customer service and retention. In the measuring phase we take captured data from the marketing phase, data from tools created in the building stage and look at ROI for various advertising campaigns. Refinements in campaigns are made to take advantage of the most successful targets.